New Delhi, 31st July 2018: Does your heat beat for Hockey? As the date for the Odisha Hockey Men’s World Cup Bhubaneswar 2018 draws near, it is time for all Indians to get behind the sport. In a 360 degree campaign that will cover every corner of the country, the Government of Odisha, will attempt to inspire every Indian to give their love and support to Hockey, which is set to take center stage at the Kalinga Stadium from November 28th to December 16th, 2018 at Bhubaneswar. “We are asking India to give their heart to hockey. 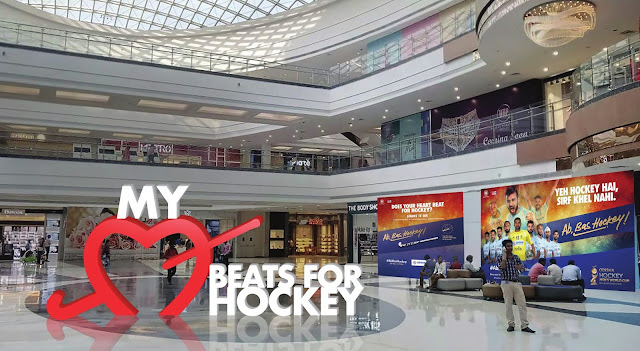 And this by way a nationwide outreach where we go to the heartlands of hockey and ask people to come and immortalise their heartbeats by recording them on a specially-designed hockey stick,” explained Nupur Mahajan, brand strategist and creator of the campaign who is working alongside Government of Odisha as Communication and Strategy Consultant for the Odisha Hockey Men’s World Cup Bhubaneswar 2018. Each time anyone holds the custom-made hockey stick, named ‘Heart Beat’, they record their heart beat as a pledge to support hockey. 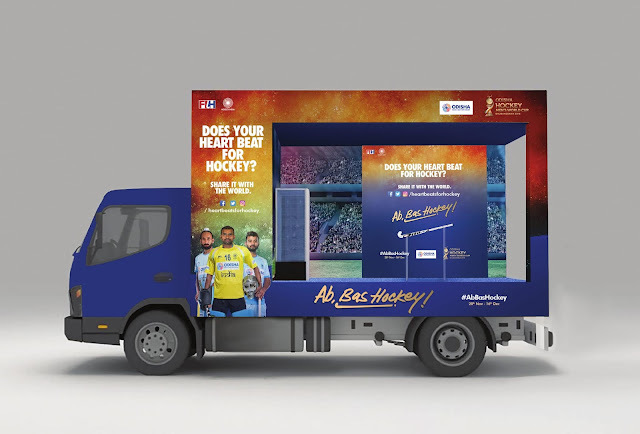 Over the next few months, Heart Beat will travel across the country through the ‘Hockey Adda’, a curated on-ground discussion platform for hockey players and experts alike with youth in the audience. Additionally, special ‘Heartbeat Canters’ will be sent across select cities in India, encouraging every sports lover to participate in an effort to gather as many heart beats as possible. People will also have the opportunity to pledge a heartbeat at one of the many curated events that will unfold in the Build Up to the Odisha Hockey Men’s World Cup Bhubaneswar 2018. At the Opening Ceremony as all the 16 Captains gather on stage they will be presented heart beats of the entire nation as a gesture of support for the game that says: India’s heart beats for hockey. Your heartbeat could be one of them. 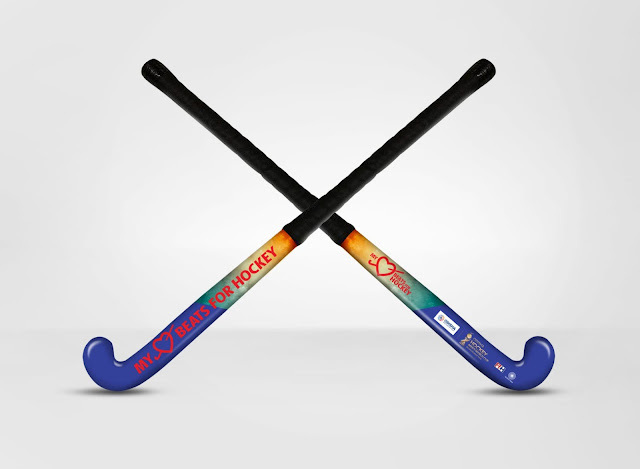 The specially designed Hockey stick will be installed and made available at Hockey heartlands in select locations across 6 cities namely Chandigarh, Bangalore, Mumbai, Bhopal, Rourkela and Imphal. Additionally two permanent installations at the Kalinga Stadium in Bhubaneswar will also be made accessible to the masses. The Heartbeat Canter will cover other Indian cities including Jalandhar, Lucknow, Ranchi, New Delhi, Chennai and many more. The Odisha Hockey Men's World Cup Bhubaneswar 2018 will be the 14th edition of the biggest tournament in Men's Hockey and the third time that India will be hosting it after having organised it in 1982 in Bombay and in 2010 in New Delhi. A total of sixteen nations will take part in the tournament which will see each team play three matches during the league stage over the span of twelve days before four cross-over matches take place on 10th and 11th December, 2018. The knockout matches will take place on 12th, 13th, 15th and 16th as the teams will look to become the Champions of the prestigious quadrennial event which was won by Australia in 2014.